That's it folks, it's all official now. 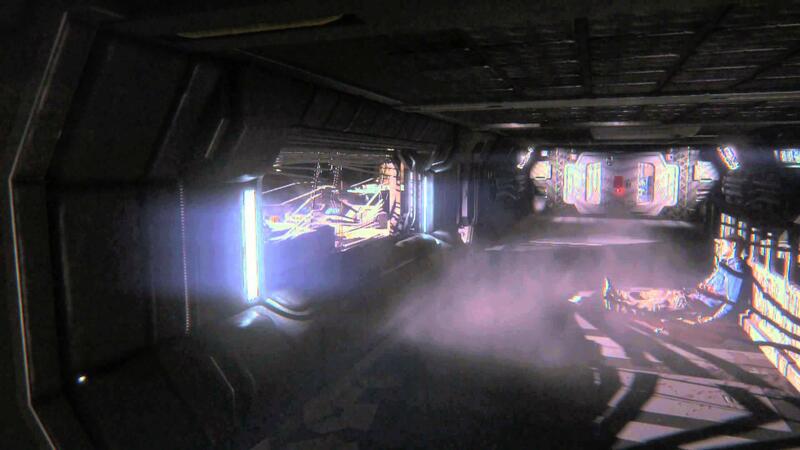 Alien: Isolation is coming to Linux next week, and it's going to scare you senseless. You can see the Feral Interactive mini-site for it here. Ubuntu 14.04 (64bit) or SteamOS. The game requires an NVIDIA 600 series graphics card or better running Driver version 355.11 or better. Intel and AMD GPUs are not supported. A Steam account is required. Alien: Isolation – The Collection will retail on Steam for US $59.99, £39.99 (inc. VAT) and €54.99 (inc. VAT). Quote In an original story set fifteen years after the film, players take on the role of Ellen Ripley’s daughter Amanda, who seeks to discover the truth behind her mother’s disappearance. Marooned aboard the stricken space station Sevastopol along with a few desperate survivors, players must stay out of sight, scavenge for resources and use their wits to survive as they are stalked by an ever-present, deadly Alien. The labyrinthine Sevastopol is an incredibly detailed world that conceals hundreds of logs and hidden items which provide clues to the mystery behind the station’s catastrophic decline. As they explore, players will crawl through air vents, scope out hiding places, hack computer systems and deploy gadgets in a constant bid to outsmart the terrifying Alien, whose unpredictable, dynamic behavior evolves after each encounter. Alien: Isolation – The Collection will include all DLC previously released for the game including two stand-alone missions set aboard Ellen Ripley’s ship the Nostromo, in which players become a member of the original crew and attempt to evade, contain, and ultimately escape the Alien. The Collection also includes five mission packs that add new maps, playable characters and challenges to Survivor and Salvage modes, outside the main story. "The technology aboard the Sevastopol harks back brilliantly to the original film," said David Stephen, Managing Director of Feral Interactive. "As players glance at the glowing interface of the motion tracker while desperately hoping the alien doesn't hear its bleeps, they'll experience the same creeping terror felt by the original crew of the Nostromo..."
It's easily one of my favourite horror games, and I'm not kidding you just how much this game scares me. We will have a full post on it when it's released. I will stream it on release day, save me. Why do I do this to myself. It's not a horror game. It's space adventure action game in that matter with really good AI for main antagonist. Game doesn't rely on how much it uses jump scares. It's how unpredictable it is. Looks great. Won't go to the top of my wishlist but excellent news for fans of soiled pants. Quote Intel AMD and GPUs are not supported. Quote and I'm not kidding you just how much this game scares when me. Liam's so scared he has lost control of his keyboard. I wonder whether savegames will carry over from the Windows version. Nvidia should be allowed to buy them out.